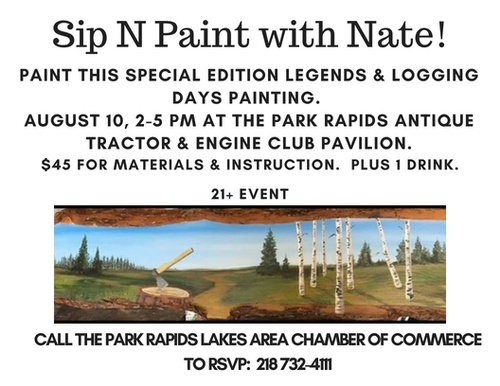 Come on out to Sip N Paint with Nate and paint a northern MN scene on a fish board. 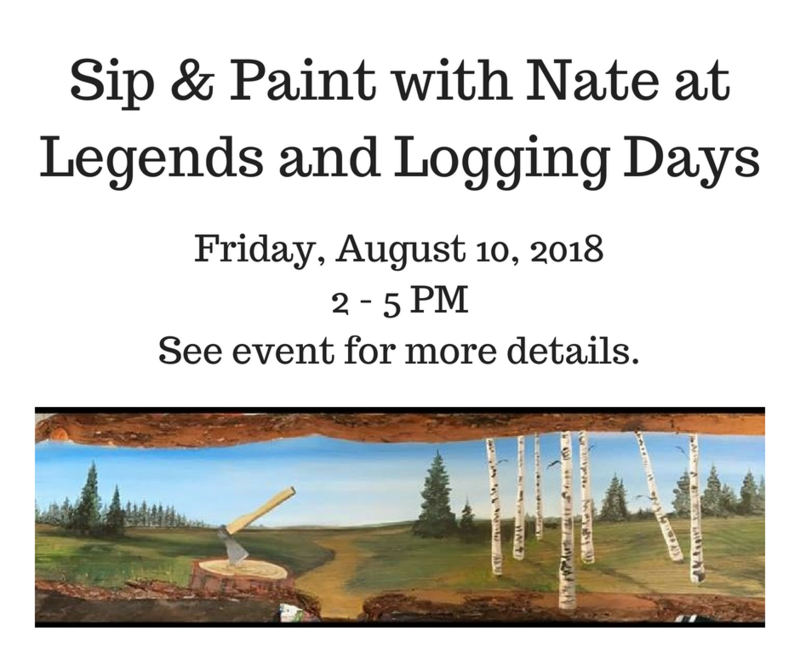 This is a special edition Legends & Logging Days painting. This event will take place at the East 40 Park Rapids Antique Tractor Grounds on Friday, August 10th 2 pm to 5 pm. 1008 8 th Street E.
Register on-line or stop in at the Park Rapids Lakes Area Chamber of Commerce.